Butter chicken (murgh makhani) is a dish typical of the northern Indian province of Punjab. This dish originated during the period of the Mughal Empire several centuries ago. 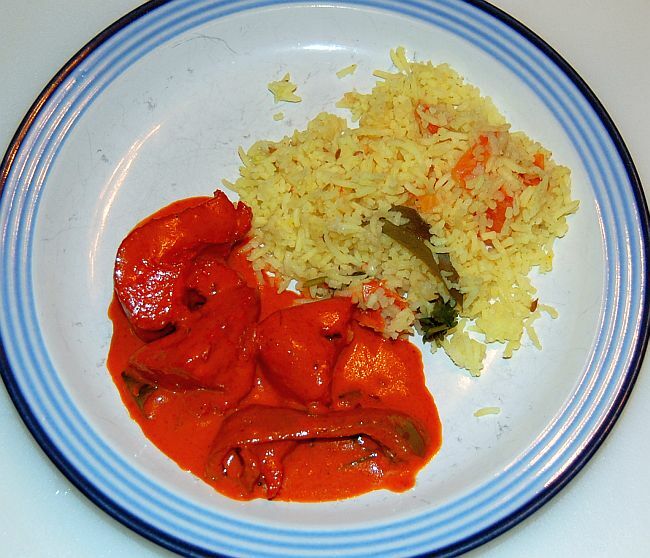 Butter chicken is a colorful dish usually served with naan bread or steamed rice. Although the recipe is called "butter chicken", the recipe provided by my friend Tamilselvan Thankanadar is prepared without butter. Marinate the chicken in yogurt and tandoori spice for at least two hours. Fry chicken in a pan with just enough oil (or butter) so that it will not stick. Set aside when it is cooked. Separately, in a frying pan at medium heat with about one tablespoon of oil, sauté the chopped onions with the mustard seeds, curry leaves, and cumin seeds. When the onion is translucent, add the tomato puree, heavy cream, about 1/4 cup of water, fried chicken, and the rest of the ingredients, except the cilantro. Simmer until the sauce has a smooth consistency. Stir in the cilantro and simmer 5 more minutes. 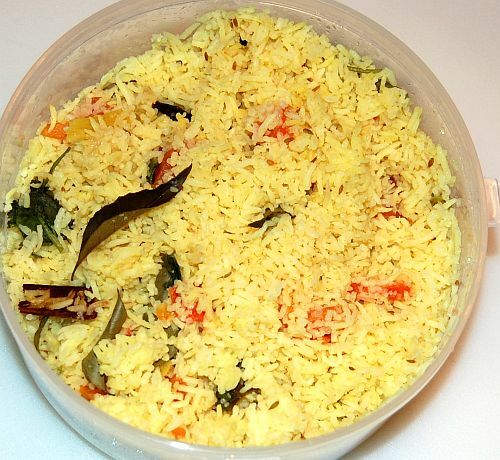 Serve with Indian Rice. In a pot with a lid, pour 4 cups of water, and add all the ingredients, except the cilantro and curry leaf. Bring to a boil, and simmer for about 20 minutes until all the water is absorbed. Allow to cool covered for 5 minutes. Add the chopped cilantro and curry leaves, and stir with a fork to fluff the rice.